The majority of us stay attentive about the "PESTS AND DISEASES" that harm our plants, however, nature has an intrinsic answer for this. At the point when plants are genuinely solid, they have a high sugar content. The "Brix refractometer" measures the sugar content in plants to decide their nutrient density. Nature wouldn't like to harm healthy plants and their offsprings. In the event that the brix estimation in a plant is over 12, it is to a great extent defend destructive bugs. The message is clear; on the off chance that we boost the nature, we get nutritional produce. Seeing how nature consolidates carbon in plants and soil enables us to work in amicability with this natural framework. These carbon-based sugars are sustained to soil microorganisms through root exudates. The microorganisms at that point change the carbons of sugar into natural topsoil. soil which had been furrowed yearly by a tractor. On the off chance that Insecticides and fungicides were utilized routinely and the dirt was left uncovered amid the long seasons. Because of these cultivating techniques, the dirt will move toward becoming compacted and couldn't retain much rain amid storms nor hold water amid sweltering, dry summers. Humus, the best soil, isn't worked without the micro-organisms accepting carbon-based sugars from plants. A progressing balance among the billions of microorganisms is additionally required to make humus from these sugars. Without an undisturbed trade amongst microorganisms and plants, there is no nutritious sustenance. To be fruitful in cultivating naturally, we should acquaint ourselves with the difficulties of the soil food web so we can work in coordination with the microorganisms. As we get to know the organisms in the soil, we come to acknowledge how reliant they are. We don't destroy a slug or nematode without decimating the shredders of organic material and the aerators of the soil. We don't furrow without harming the mycorrhizal growths whose basic capacities incorporate broadening the plants' underlying foundations called roots, influencing accessible imperative components to like phosphate, and emitting glomalin which forestalls soil compaction. What's more, we don't grow mono-crops or leave soil exposed without starving these basic organisms. To cultivate naturally intends to encourage the life that is too little for our eyes to see. Natural Soil is Made of Air! The capacity of plants to assemble soil out of the air is fundamental to having healthy soil. Plants have openings on the underside of their leaves, called stomata, in which they take in carbon dioxide. 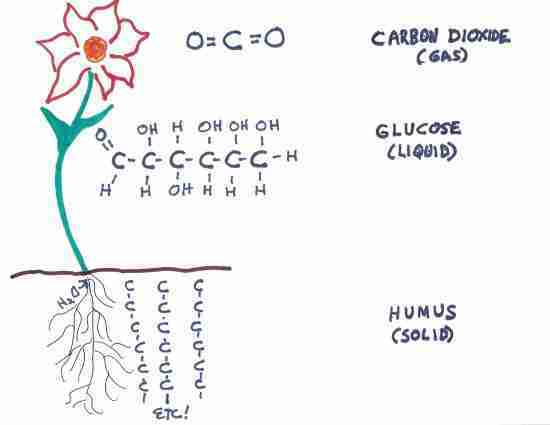 With vitality from the sun and prepare enzymes from soil nutrients, plants connect these carbon ions together in long chains. The least difficult chain is a six-carbon sugar called glucose. Plants likewise make longer and more complex network chains of carbon, framing starch for their sustenance and cellulose for their structure. The basic sugars are exchanged by plants in return for the nutrients that plants require from the soil. The billion of soil microorganisms get the sugars they have to make due through the plants' root exudates. Consequently, plants get the supplements that they require from the dirt by means of these organisms. There are 118 components on our planet, and researchers now realize that living animals require these for good wellbeing. See the end result for carbon? It ventures from air to the plant to the soil. We can likewise say that carbon has gone from a gas to a fluid to a solid. In the dirt, organisms make humus by connecting carbon into long, vertical chains. Humus holds water in time of the dry season, assimilates water in time of overabundance rain, gives fortifying sustenance and sequesters carbon. Nature's method for shaping soil brings about healthy plants, animals and a healthy planet. We've heard that it takes 100 years to "grow" one-inch of soil. That is genuine when the soil is made from the disintegration of rocks by rain and wind. Be that as it may, when the soil is made "from the air," plants can grow four to six creeps of soil a year. That is genuinely natural cultivating!